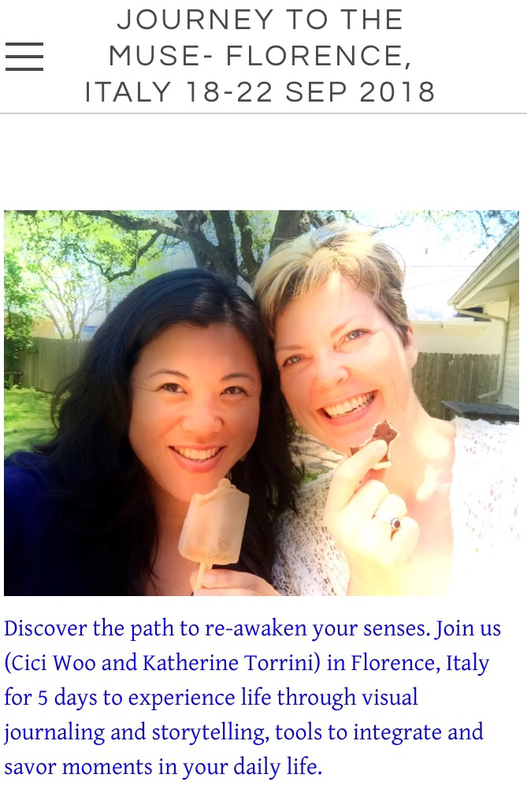 Join us in September 2018 in Italy! 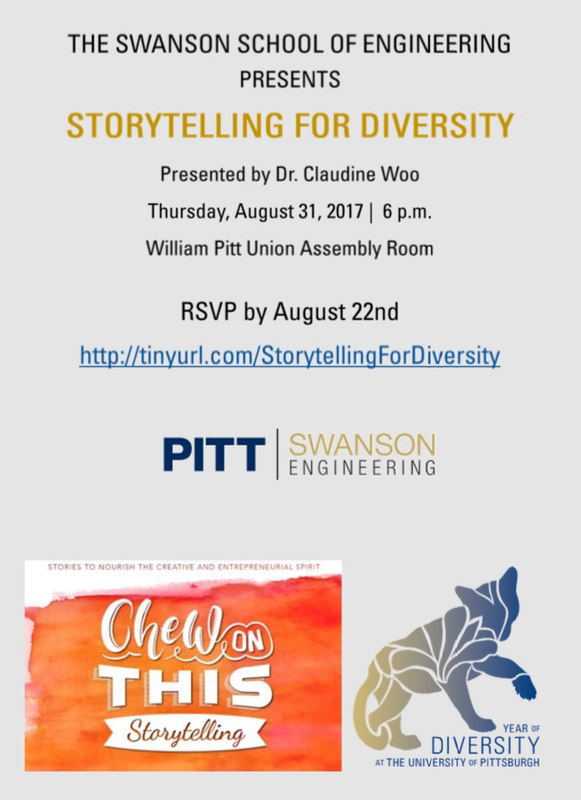 August 31 – Chew On This Storytelling at PITT! Join us on Thursday, August 31 at 6:00pm to celebrate diversity through stories from students and faculty of the University of Pittsburgh. This special event features personal storytelling and a panel discussion with audience Q&A. RSVP TODAY to be included in the reception. June 8 – “Choose Yourself” Meet James Altucher in VR! Join us on Thursday, June 8th at 6PM Pacific (9PM Eastern) for a very special guest: author, entrepreneur, advisor James Altucher. James has written numerous books, including “Choose Yourself” and “Reinvent Yourself” about choices you can make to follow your dreams in the new economy. James has been on Wall Street, hosted a show on HBO, and has his own podcast (“The James Altucher Show”) with incredible guests each week. FROM YOUR COMPUTER: Register to join in Virtual Reality and you will receive instructions for how to download the AltSpaceVR software, and choose your own avatar (first step to choosing yourself!). If you don’t have VR gear, you can still join in 2D. In New York City this week? Meet James Altucher in person! Buy tickets at the door at Jump Into The Light Now, a new Virtual Reality theater and experiential location (180 Orchard Street). In Boulder: Join us at Reality Garage and meet one of our Chew On This Storytelling team members in person (hint: an Olympian, training for Tokyo 2020!) Location: 1320 Pearl Street. LIMITED seats! Thanks to Nicole Lazarro, IdaRose Sylvester and Ian Thiel for being our special guests in April! Join us on Tuesday, May 9th for our featured guests: Jason Hofmann, co-founder of 51Oakland.org with Yoshi Akiba, and making her VR album debut: Anja Kotar! REGISTER for FEB 21 Chew On This Storytelling at AltSpaceVR. Villy Wang was Raised by an immigrant single mother in the projects of New York City, Villy Wang’s desire to tell her mom’s story forged a passion for using digital media arts for its power to share and shape narratives. Leveraging her 25 year background in banking, law, education, media, arts, and nonprofit management, Villy founded BAYCAT , a nonprofit social enterprise in San Francisco that helps young people from low-income communities capture untold stories and create social change. After 10 years, BAYCAT has created a successful pathway from education to employment. BAYCAT helped educated nearly 4000 students; their most recent graduates have gone on to work at Netflix, Lucasfilm, Pixar, HBO, Universal Studios and other production companies. BAYCAT’s youth media has appeared in over 35 film festivals and has local, national and international clients such as: Super Bowl 50’s, The 50 Fund, Yahoo!, Golden State Warriors, The San Francisco Foundation, etc. Villy and BAYCAT have also been featured on different platforms such as KQED’s SPARK, KGO TV’s Profiles of Excellence to Forbes to 7×7. Most recently Villy was a keynote speaker at TED; in her talk she explained how she developed a program to train kids in filmmaking so they can create new, authentic stories and break the cycle of bias perpetuated in media. In addition to her love for producing media and the next generation of filmmakers, she is also President of the SF Film Commission. Villy received her double B.A. in Engineering and Economics from Brown University, a J.D. degree from Northwestern University, and her teaching credential from San Francisco State University. Bruce Cryer has been called a renaissance man – former CEO of HeartMath, entrepreneur, faculty at Stanford Business School, mentor, writer, speaker, photographer, and actor/singer/dancer on Broadway. He is co-author of From Chaos to Coherence: The Power to Change Performance, and the Harvard Business Review article, “Pull the Plug on Stress”. He founded What Makes Your Heart Sing with Emmy-award winning composer Gary Malkin to awaken the power of inspiration in audiences everywhere. He recently founded an integrated business services network called Vybrato, launching his Renaissance Mentoring program in the process. He is also Co-CEO of WholeLife, a media technology company created to empower content creators to build and reach new audiences profitably. A cancer and staph infection survivor, Bruce is singing and dancing again on two titanium hips. For our 1st show of 2017, we are thrilled to welcome screenwriter/actor Rajiv Shah (“Run the Tide”) and author/artist Sam Lamott (“Some Assembly Required” co-authored with Anne Lamott) to Chew On This Storytelling in virtual reality at AltSpaceVR. To join us, please follow the AltSpaceVR link and choose your preferred way to join. There is a “2D” option for anyone who wants to join but doesn’t have a VR headset. We will have a conversation about how writing allows us to show up in our lives, and what it does for others, as it translates via social media,the big screen or any other medium. Sam Lamott was born in San Francisco in 1989, and has been creating elaborate works of art since he was three years old. Raised primarily in Fairfax, California, he struggled with academics but thrived in art, passing math classes by drawing elaborate comics for the teacher in the margins of his homework and tests. What he lacked in scholarly discipline he more than made up for in bold unharnessed creativity, and chutzpah. He went to three different high schools, graduating from Alldredge Academy in West Virginia, a high school for wayward teenagers, in 2006. He studied industrial design at San Francisco Academy of Art University. He discovered sacred geometry while in school, and began to make a name for himself with large works utilizing metal, and stolen street signs from downtown San Francisco, the city he loves so much. He has displayed his work in shows at the Drop Gallery, Barber Lounge, Ian Ross Gallery, and Gauntlet Gallery while doing private commissions. RAJIV SHAH is an award-winning writer/filmmaker originating from the heart of the San Francisco Bay Area’s Silicon Valley. Starting his career as a theatre actor, Rajiv’s experiences onstage ultimately shaped his voice as a writer. Rajiv is especially interested in telling stories relating to characters on the fringes, family dynamics, and growing up within uncommon communities in contemporary American society. Rajiv’s first feature-length screenplay, RUN THE TIDE, was produced by 1821 Pictures and stars Taylor Lautner and Constance Zimmer. The screenplay for RUN THE TIDE won the Grand Jury Prize for Project Catalyst at the Los Angeles Asian Pacific Film Festival, was a finalist in Final Draft’s Big Break Competition, and placed in the top 10% of the Academy Nicholl Fellowship. Most recently two of Rajiv’s screenplays, 808 and NORTHERN LIGHTS, were both selected to the final round of the 2016 Sundance Institute’s Screenwriters Lab. Additionally, 808 was also selected as an Emerging Narrative fellow at the IFP Film Market in New York. Rajiv is an alumni of California Institute of the Arts and a graduate of San Francisco University. Our audience will get a chance to ask questions as well. 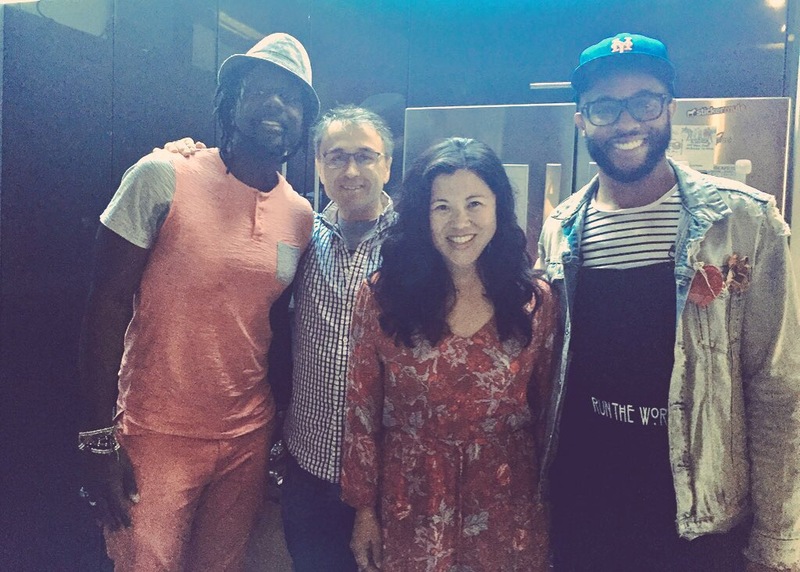 If you have a question for either Rajiv or Sam, feel free to send it in advance to ChewOnThisStorytelling (at) gmail (dot) com or tweet to us @chewonthisstory. In 2016 most of my resources, both physically and mentally were allocated into qualifying and competing at the Olympic Games in Rio. Essentially I put the other aspects of my life ‘on hold’. Being few months removed from the big dance and its related events, I had the time to recover and re-calibrate and I feel that now in conjunction with running I could slowly explore those other areas of my life. One of those is my desire to be able to get my hands dirty in the marketing world. I am thankful for the opportunity to be able to fill that desire in 2017 and beyond with Chew On This Storytelling and Cici Woo. It’s Cici. I don’t usually start out a blog post this way, but stick with me and you’ll find out why soon. This has been a year of unexpected highs and lows, even for a storytelling series based on the question: What do you do when you are going through the unknown? We have also had team members come and go, had to delay some projects like our podcast and book, and have put live events on hold for now. Some of you may know that my original reason for becoming a storyteller was to share the story of my mother who has schizoaffective disorder, to help alleviate stigma around mental illness. We celebrated our first year anniversary as a show in September with the help of comedian/actress Kristina Wong, who created a one-woman show “Wong Flew Over the Cuckoo’s Nest” which is a personal take on depression and how many Asian-Americans experience it without seeking help. As it turns out, my mother’s health is in decline, so I have made the choice to keep the Chew On This Storytelling community going, while balancing my family priorities. This means we will no longer have our show in Berkeley, but we are continuing with our show in Virtual Reality, along with some other projects. If you don’t know Maor’s story, please check it out: “Strides of Faith”. She is back and while training for Tokyo’s 2020 Olympics, excited to be part of our team. Maor will help me with some of the blog posts, social media, and some other projects to help get the stories out to you, in case you missed it the first time or want to hear them again. Please join me in welcoming Maor! You’ll see our social media accounts on Twitter and Instagram: @ChewOnThisStory and you’ll know when Maor is posting or me (or another team member if we continue to expand). We’ll share more about what we plan to bring in 2017 to help you connect with inspiration through story. If you have ideas or suggestions you would like to see, please let us know by emailing us at: ChewOnThisStorytelling (at) gmail (dot) com. Thanks to everyone for your support, especially our wonderful friends and sponsors at Epic Coffee, The Writing Pad, Archetypal Musings, and many more. We had put our monthly newsletter on hold, and will resume it in 2017, so please be sure to keep an eye out and/or subscribe by emailing us your request, if you are so inclined.